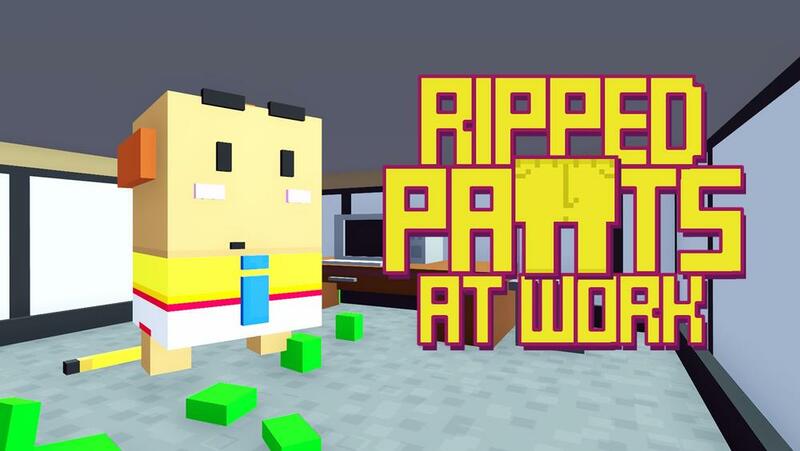 Ripped Pants at Work is a game about sneaking around a city, searching for new pants! It is a small, open-world, stealth game in which the player hides in bushes and behind walls, breaks line-of-sight of those with intact trousers, and seeks slacks in the buildings and shops around town. If you are caught without pants, you will be fired for indecency! The cycle continues with the next person hired for your job. It is currently in development but is aimed to be released in fall 2017!